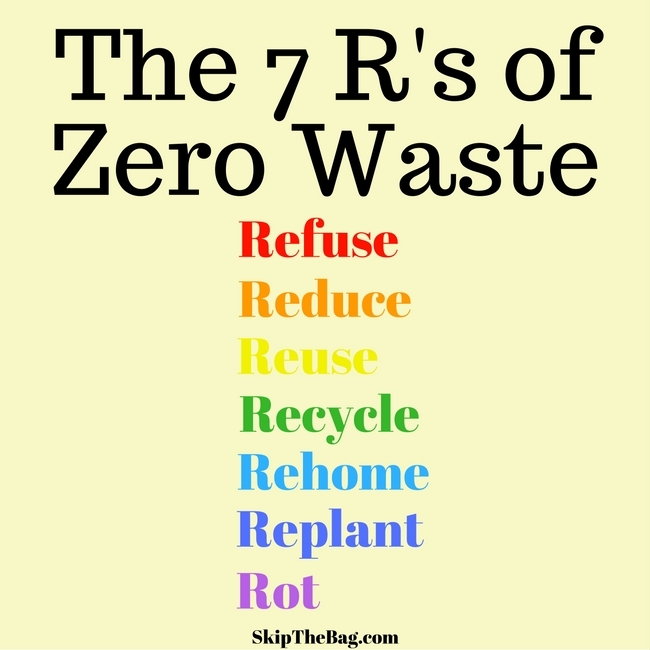 If you hang out around the zero waste scene online long enough you are sure to see the 7 R's of Zero waste or some variation of them. The 7 R's are: refuse, reduce, reuse, recycle, rehome, replant, rot. These are general principles for how to look at your items to either prevent you from obtaining them in the first place, or to figure out the best way to dispose of the item. It starts with refuse. Simply, if you don't need an item, don't get it. Whether it is a new article of clothing or a freebie from a store, if you don't need the item, simply refuse. 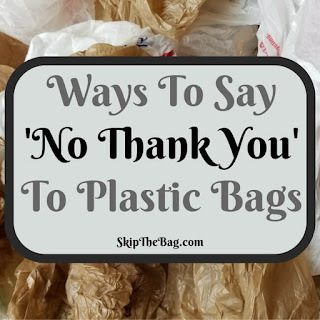 Here are some fun, and some more practical ways of saying no thank you to plastic bags at the store. Next is to reduce which goes great with the trend in minimalism. Take a good look around you, do you need that many of an item? Do you need a separate cleaner for the kitchen sink, the toilet and the floor? Would one cleaner meet all your needs? 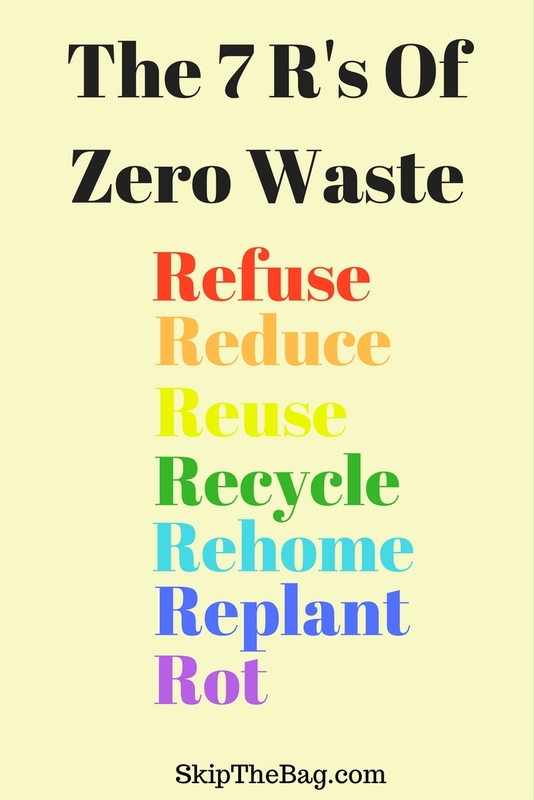 Third is to reuse what you can. I am starting to get quite the glass jar collection and part of the reason why is because rather than throwing away the jar (or recycling it), I add it to the pantry. I then use the jars to store bulk food. Then is recycle. This is a big one and one that is highly dependent on where you live. 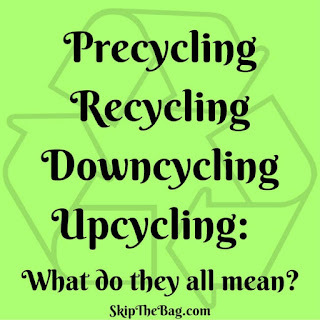 Pay special attention to what you can recycle in your community and what you can't. We all wish we could live in places that recycle like Portland, Oregon, but unfortunately that just isn't the case. There are plenty of ways to rehome items you no longer want. You can have a garage sale, you can give to a friend, donate to a local charity, put it up on craigslist or freecycle, or donate to a thrift store. Replanting is one that we can start doing now that we have a garden. So far we have just planted plants and seeds that we have purchased, but future seasons we can start replanting seeds from our current crops. Finally there is rot. We haven't really started this yet. I got a nifty compost bin, and we throw the scraps into one area of the yard, but we aren't actually composting yet. I'm actually thinking we'll go the worm composting route, but more to come on that. So there you have it! You can see how maybe a favorite t-shirt could be worn, and then reused as a rag, and then finally recycled. But if you've ever wondered how people only end up with a tiny mason jar of trash, they are likely using these principles. Looking for some more practical tips? 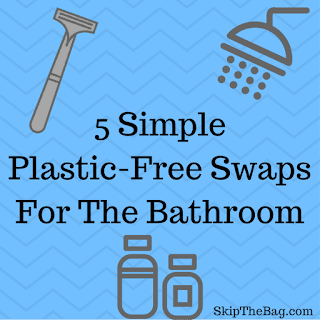 Check out 5 Simple Plastic Free Swaps For The Bathroom. Nice chart. It's good to see the steps laid out clearly. Thanks! I borrowed the chart, because I didn't think I could make one better! Thanks for stopping by. This is great! I love the "replant" addition. 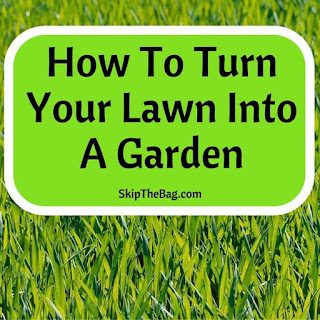 Yes and you can do it even if you don't have a garden. You can regrow lettuce and green onions from a glass in your kitchen!